We offer numerous Promotional Items, which includes mouse pads, rubber wrist bands, tea coaster, wall clocks, table flags, etc. Our company has cemented its presence among the renowned Manufacturers and Suppliers of Promotional Items in Dubai, United Arab Emirates. 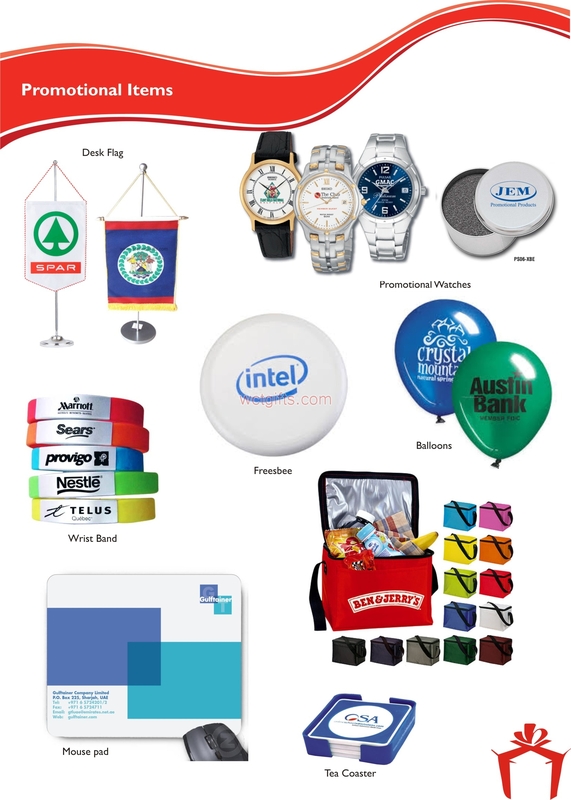 Our gamut of Promotional Items is extensively used by various companies for brand awareness, advertising, gift items, etc. Buyers can obtain the Items at industry-leading rates.